It’s a new year, which means new ideas and new ways of tackling problems. For my first blog article of 2019, I wanted to discuss a topic that’s close to my heart. If you already read the “About” section at the bottom of my articles, I mastered in Geomatics. It’s an area I’m passionate about – which is why I’m going to let you in on some handy geographical analysis tasks you can do with Boréalis stakeholder engagement software. Just so we’re clear, Boréalis is not a geographic information system, so you won’t be able to do as much with it as a specialized GIS. That being said, not all of us are geomatics experts, so most of you probably won’t need to go neck-deep in analysis just to extract valuable information. Here are a few simple things you can do to shed new light and perspectives on your data. To better understand what’s going on in a specific region, it can help to identify project elements on a map. The first step is identifying the locations you want to track; the level of precision depends on you. For example, are there any specific locations for which you want to know the main issues and key stakeholders? Those types of questions. In case you didn’t already know, locations in Boréalis are powered by Google. Whenever you add a location to the system via Google, it pins it directly to the map. If the location you’re searching for does not exist in Google; you can add the coordinates manually. This means you can enter every single spot that matters to you. By mapping in the system exactly where things are happening, you get a basic visual representation of how you’re performing. Beyond simple locations, you can also add layers to your map by integrating real life infrastructures. These can be anything from administrative divisions and land occupations to wind turbines and transportation roads. You can then tie this information together. One area may have more communications than another, or there might be multiple issues near a specific spot on the road. Boréalis has another functionality that allows to you link infrastructures to individuals or organizations (and much more). This can be especially useful when dealing with landowners because it will tell you which owners have been consulted or what negotiations are taking place for specific parcels. You can also determine future project assets of value and even see if a stakeholder’s property overlaps with them. What’s more, you can use the structures to identify potential risks for your stakeholders or your business. If a situation should arise with an infrastructure that has been linked to a group of stakeholders who will need to be informed of the matter, you already have your list cut out for you. All this might seem fairly simple for you geomatics folks out there, but it’s an important first step in building a strategy according to stakeholders:. Track where your team has engaged. Access history of ownership and communications. Easily know who to engage with according to geolocation. Support your decisions and influence your project design. Geographical analysis is just one of the many tasks you can do with Boréalis. Just like the ever-evolving role of stakeholder engagement, mastering the ever-improving Boréalis platform is a cycle of continuous improvement. The more you use it, the more value you will reap from it. If you need help, or want to suggest other functionalities to include in Boréalis, let us know– our team is always here for you. Laura is a Business Analyst who specializes in the continuous improvement of processes. She holds a Master’s in Geomatics, where she was able to develop technical and analysis skills through many years’ work. 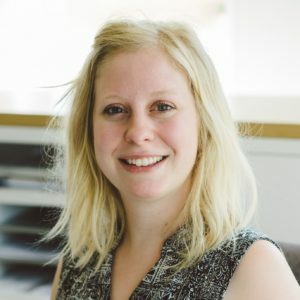 Laura’s experience in data modeling and system management equips her with the ability to understand our clients’ needs and to transform them into functional requirements for technical teams. On the weekends, she likes to be busy with Spanish and singing classes and knitting for the winter.